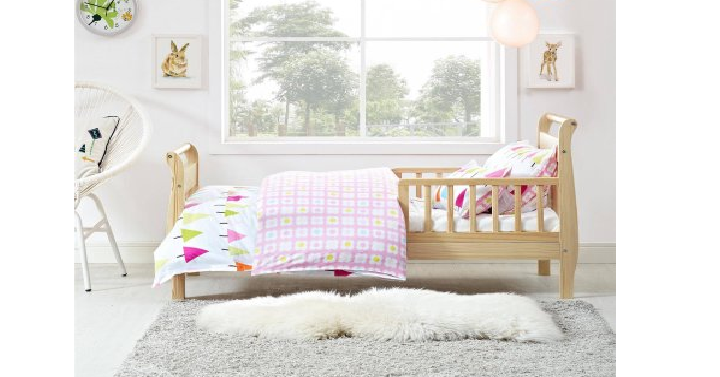 Baby Relax Sleigh Toddler Bed Only $55 Shipped! Looking for a toddler bed? Here is a great option! Walmart has the Baby Relax Sleigh Toddler Bed in the natural finish for only $55 Shipped! You can get other colors for just a few dollars more at $59, which is still a great price. These beds have a solid hardwood construction with a sleigh-style design. It also has 2 side rails for added safety which is super nice.